Whether you’re planning on putting your home on the market or are just looking to spruce the place up a bit, deciding which renovation projects to focus on is an important question. There are many home renovation projects that can actually detract from the asking price when you decide to sell your home. But there are others that can add a significant amount of value to your home. It’s important to keep this in mind when you’re deciding which projects are worth the investment. Ideally, you’ll want to capitalize on renovations that not only increase the value of your home, but also improve your family’s quality of life. Not to worry, there are plenty of projects that fit the bill. How many times have you gone to party that has somehow migrate to the kitchen? It’s no surprise that most people think of the kitchen as the heart of the home—it’s where all the goings-on happen. So investing time and money in the kitchen should be a no-brainer. 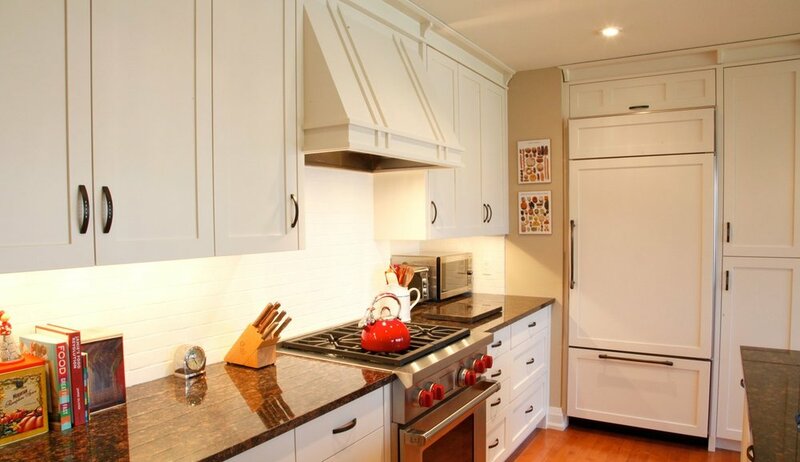 After a kitchen renovation, you can expect to recoup 60-120% of your investment. Keep in mind that your new kitchen should still mesh with the rest of your home. Think about adding a seating area—whether it is space for a table or an island with bar seating, a space specifically made for gatherings is something that will not only entice home buyers but will also make your time in the kitchen more enjoyable. If you’re constantly walking to the dreary basement to switch over laundry loads and folding clothes in the living room, it might be worthwhile to invest in creating a separate laundry room. Keeping the “mess” of laundry separate from the rest of your home can be a sanity-saver. You’ll want enough space for a full sized washer and dryer as well as storage space for folded clothes and laundry supplies. According to the Appraisal Institute of Canada, bathroom renovations are one of the most popular home improvement projects. With a 75% recovery rate, a modern bathroom is a great investment for your family and for your home’s value. Think about adding in a second sink—it’s a great time saver and isn’t as pricey of an update as you might think—or additional storage—vertical spaces are your friend in smaller spaces. Often neglected, your attic can actually be one of your best home renovation bets. You could go so far as to finish it completely (if possible) but even adding the proper insulation to your attic can make a huge difference on your heating bills. Save that 30% of nice warm air that’s escaping through your attic while making your home more desirable for prospective buyers. If you have an unfinished basement, think of it as a prime opportunity to increase the livable square footage of your home. Always wanted a game room? Do it. Looking to add a guest bedroom? Perfect! Not only will you and the family have more space, you'll also be increasing the square footage of your home and adding even more value. You've got a lot of options when it comes to improving your home and increasing the value of your home. At Attard Construction, we're backed by four generations of experience. If you're located in the GTA, we're ready to help increase your home's value and make it a wonderful place for you and your family to live.